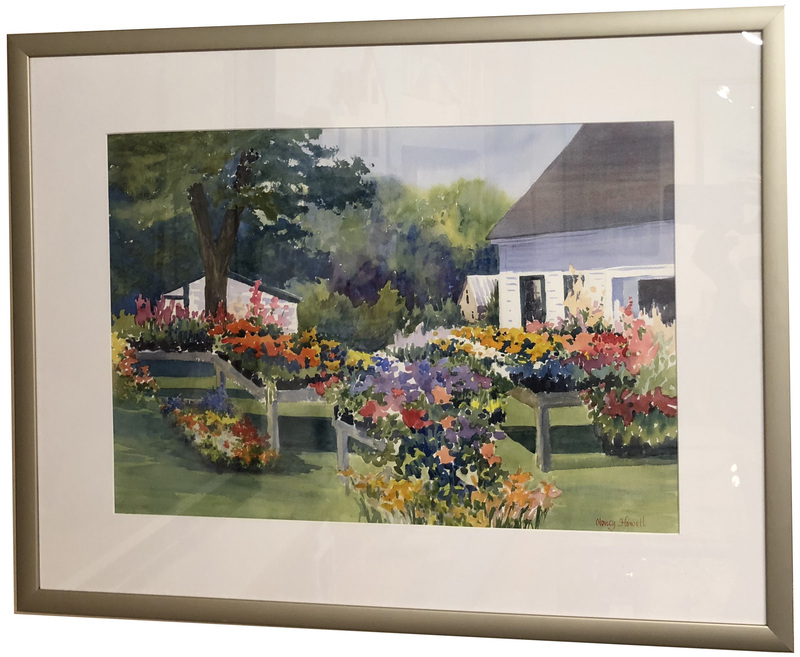 A native of Massachusetts, Nancy Sargent Howell attended Skidmore College as an art major, where, having explored many color and design classes, and assisted in teaching a drawing class, she soon fell in love with watercolor painting. 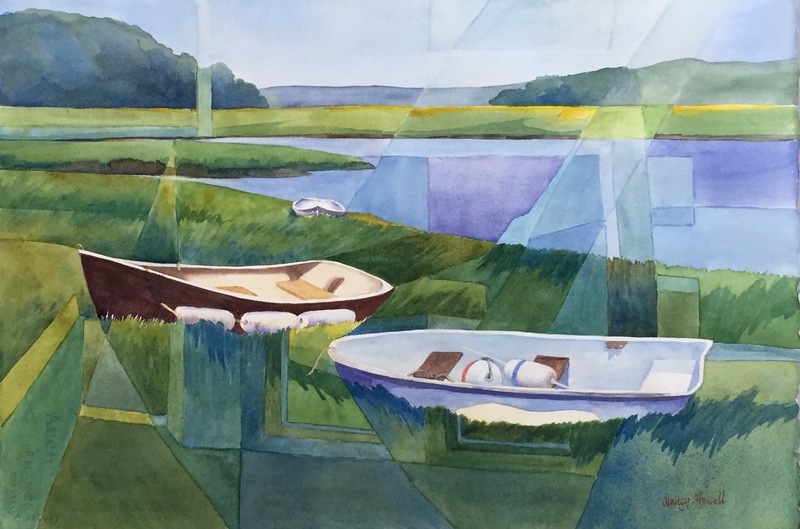 “Watercolors don’t always do what you expect”, she says, “and although that can be frustrating, it also sends me into unplanned directions which I find very energizing.” Although much of Nancy’s work is done outdoors, she uses the information that she gathers from plein air paintings to develop studio work that has a more abstract quality. 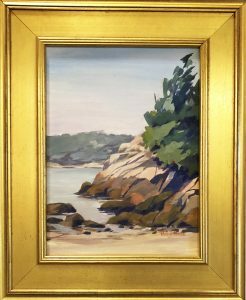 She often uses a method of glazing her work that she calls “prisming”. “I don’t know where the ideas come from”, she says, ” but after I had been doing it for awhile, I realized that, as a child, I loved cubist paintings and have always loved jig-saw puzzles.” Her prismed work clearly breaks up already existing patterns while also tying shapes together to form unified areas. 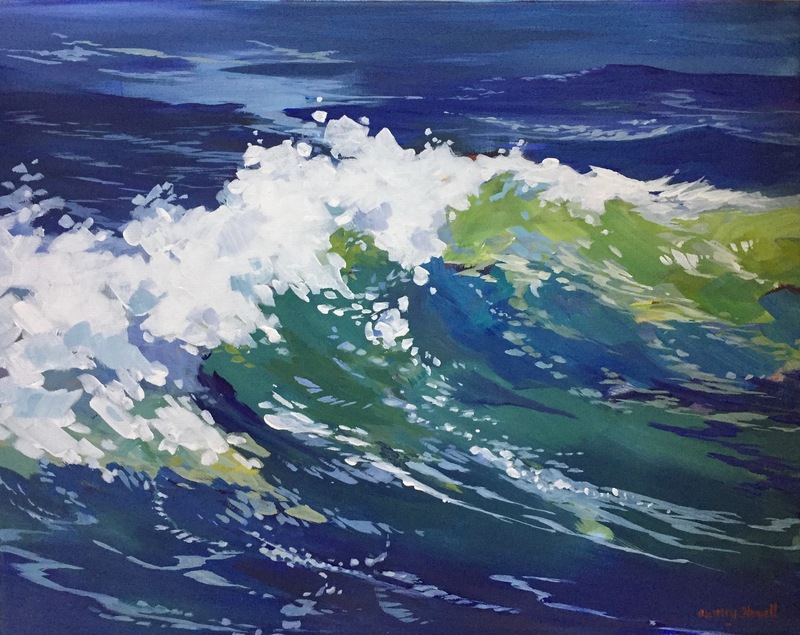 In recent years, artist Nancy Howell has started doing oil and acrylic paintings and is finding that the direction of all 3 media are coming together. “I love the thick texture of oils and the vibrancy of acrylics so that my watercolors are becoming stronger. Many people comment on the fact that my watercolors are not typical of the quieter paintings that they are used to seeing. I’m now a lot more excited about the basic shapes that I make when I plan my paintings and they are helping to create more interesting compositions.” She treasures the quiet areas in her paintings as well as the energetic ones as she develops a variety of shapes and sizes into an exciting completion.